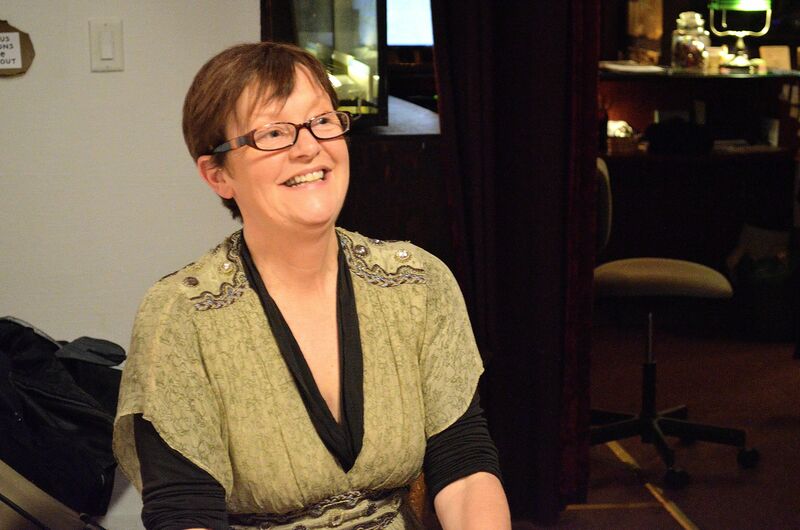 Orna Ross, author of the novel Before the Fall. The Red Victorian Bed and Breakfast Peaceful World Center at 1665 Haight St., played host to the e-book release celebration of Orna Ross‘ new novel, Before the Fall, on Tuesday night. A group of about 15 gathered to participate in the event that was highlighted with readings from the new novel. Along with Ross, was a three-piece-Irish-folk group that provided a musical breath in-between readings. People came from all over to take part in the book release, a few even were fellow Ireland-ers, but all were writers and peace-lovers who joined. The new release, Before the Fall, has a great deal to do with the civil war in Ireland, and the framework is loosely based on Ross’ own observations growing up there. She then continues to relate the book to her own reality. Through research she finds that the war had torn friends and families apart, fighting on opposing sides and again relates her own experiences. “I knew that my father’s uncle had been killed in that war and shot by his best friend… and I was absolutely fascinated by that. How on earth could it get to a situation that you would wind up shooting your best friend?” she said to the audience. 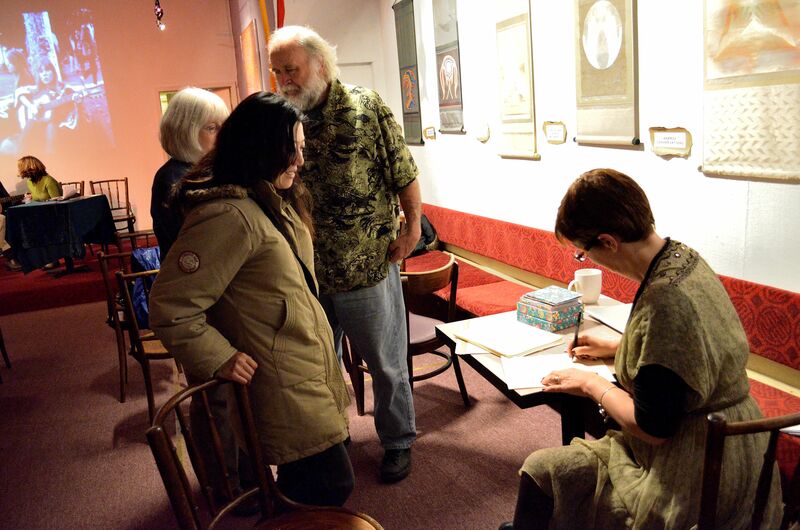 Remaining audience members wait in line for an autograph and a chance to meet with author Orna Ross. Ross continued on with more excerpts from her story. She closed the night with a poem entitled The Writers Calland the night was played out with one last song from the band. Orna Ross has had a long going relationship with The Red Victorian and the staff, in particularly Sami Sunchild, the owner of the establishment. “I have returned many times, alone and with my family,” Ross said. Her relationship with the bed and breakfast peace center has been going on for more than 15 years, and throughout that time, she has worked on numerous writings within its walls.